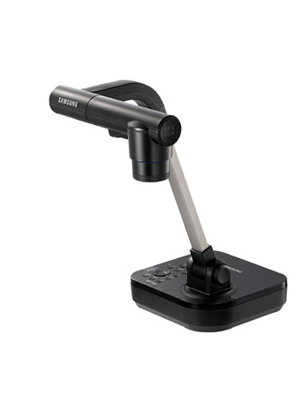 The Samsung SDP-760 is a document camera which embodies class, durability and ease of use, making it a premium choice for projection use. The SDP-760 delivers HD resolution, capturing images at 30 fps and a 3 megapixel camera with a promising high quality display projection, making the SDP-760 ideal for training and learning sessions. The flexible arm of SDP-760 permits the user to view texts and objects from various angles and one may twist the arm according to their own requirement. 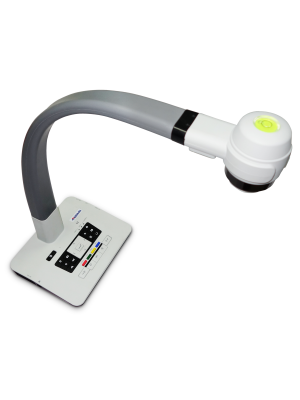 The compatibility of SDP-760 with any interactive whiteboard, broadens its locus of performance and characteristics.